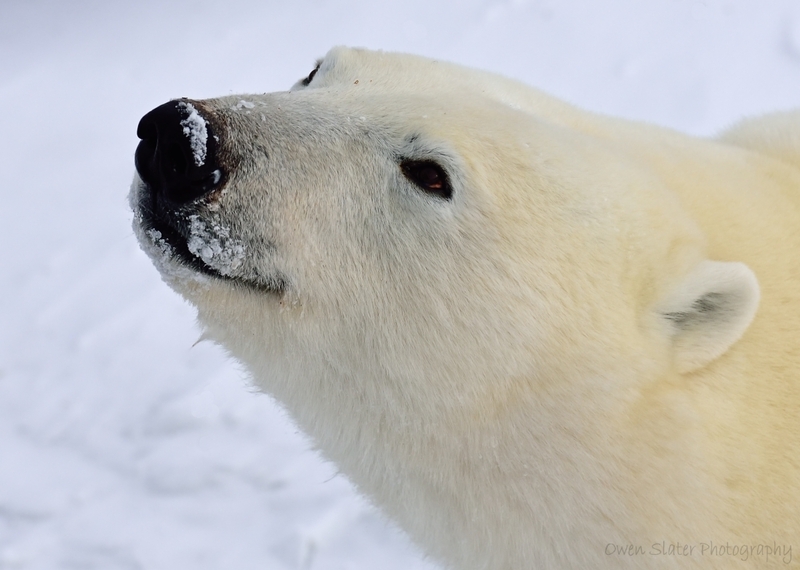 Over the past two weekends I have been a naturalist for Classic Canadian Tours, which provides polar bear safari day trips out of Calgary, Edmonton and Saskatoon to Churchill, Manitoba. 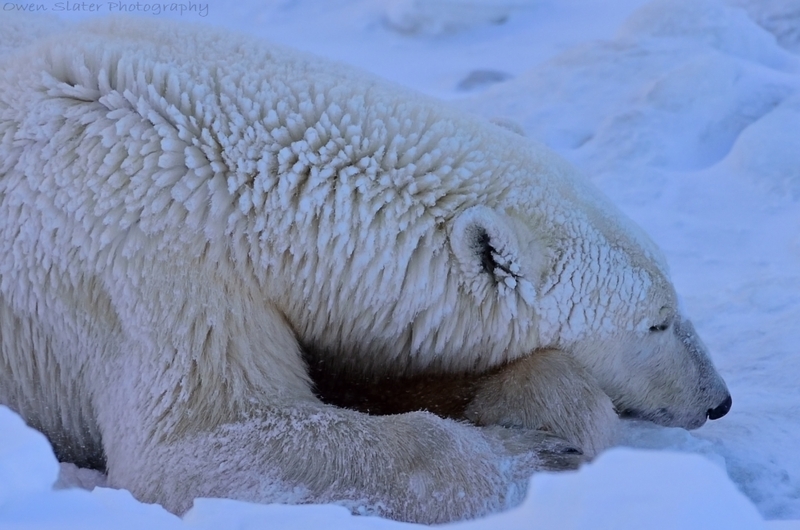 Many people who would otherwise never have the opportunity to see these magnificent animals in the wild are able to make this trip and come away with a once in a lifetime experience. 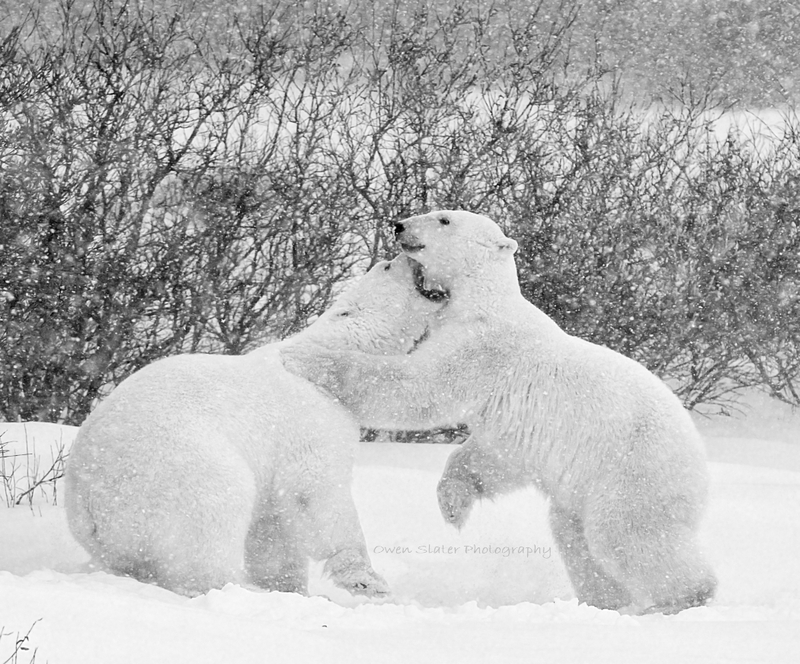 This time every year, tour companies are in full swing as the bears congregate around the Hudson Bay. Due to the influx of fresh water and bay currents, the water in the Churchill area is the first to freeze each year. Over a 2-3 week period between late October and mid-November the bears return to this area to sit on the tundra and wait for the ice to form. 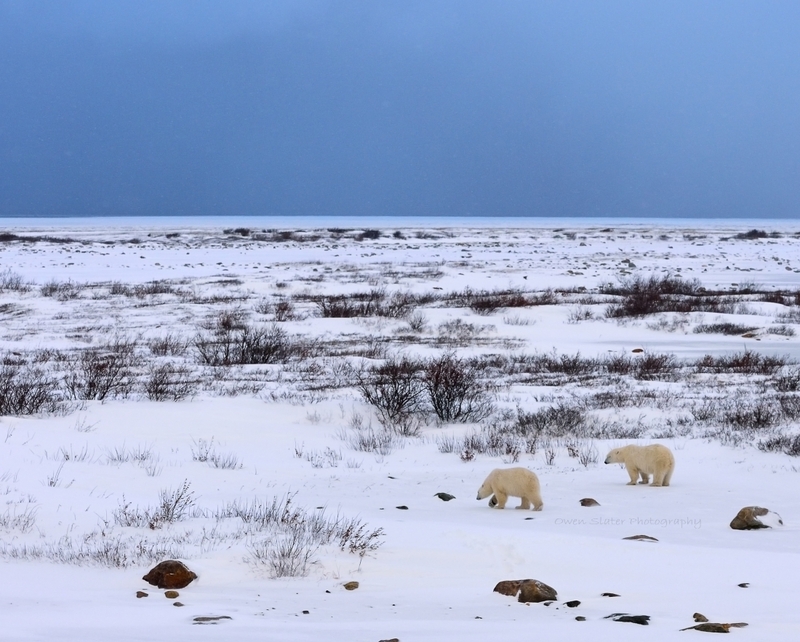 Once frozen, the bears have direct access to cross the bay and continue to their winter hunting grounds. 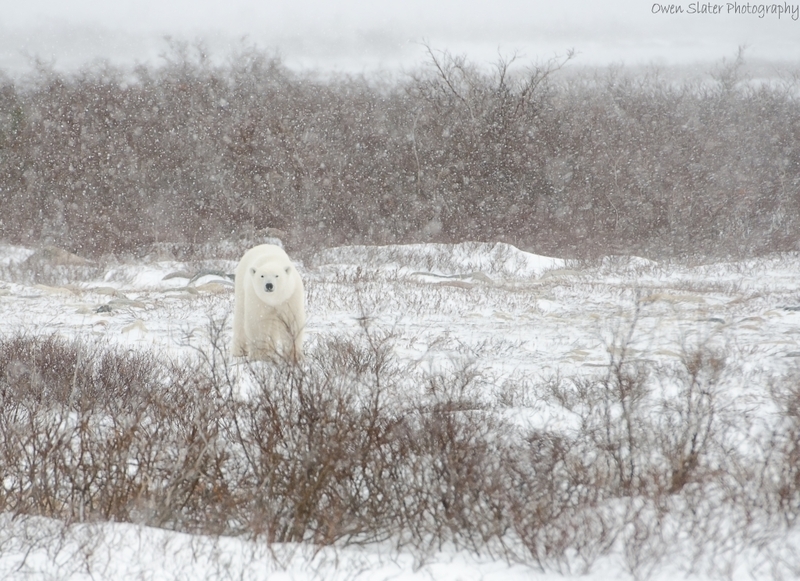 This brief window creates a perfect viewing opportunity for wildlife enthusiasts and we were lucky to see several bears including this one as she made her way along the tundra during a snowstorm. One of my favourite moments from these trips was at the end of the day when we were back in Calgary. An elderly man who had made the trip strolled up to me and we chatted while he waited for his family members. As we shook hands and talked about the great trip, he stated that he only took a brief nap on the morning flight out but was otherwise feeling great even after being up for 16 hours! 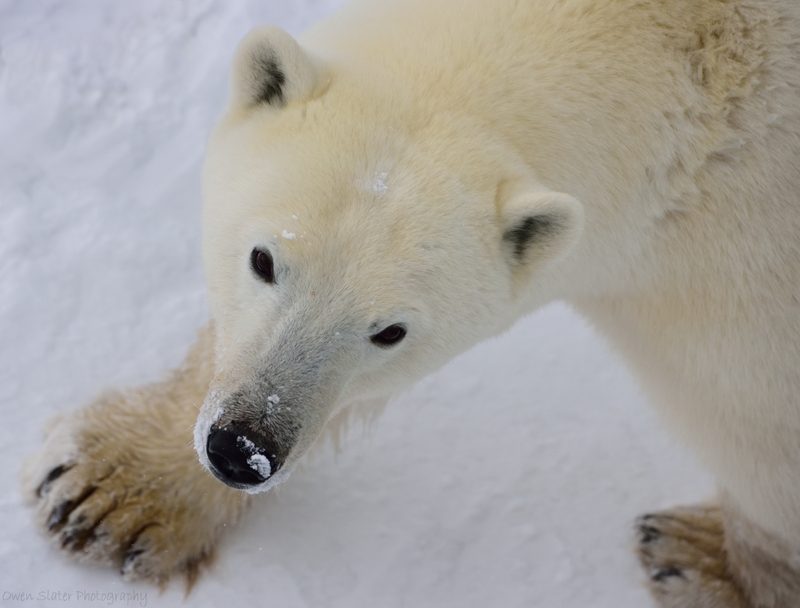 The adrenalin rush of seeing polar bears was easy to appreciate! As he left he proudly stated he was 87 years old and that he hoped I would be able to do such a trip at his age! I couldn’t have agreed more!